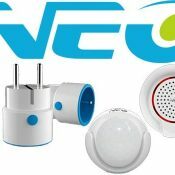 Home Assistant compatible products contain products/hardware that are compatible with Home Assistant smart home software. All used and tested with Home Assistant. Check out the protocol that is used before buying. This category lists almost all the products that Home Assistant can connect to and are available on GearBest. If you have devices that works and are available at GearBest. , please notify us so we can expand the list.